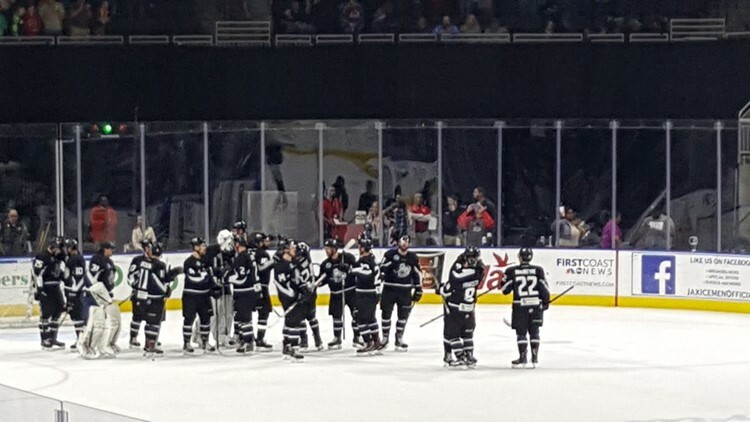 There is just over a month to go in the Jacksonville Icemen's first ever season and what happens this weekend will go a long way towards determining whether the team makes it to the playoffs in year one. The Icemen play three games, including two at home, this weekend. Friday night, the Icemen host the Norfolk Admirals at Veterans Memorial Arena at 7:30 p.m. while Sunday afternoon, the team takes on the Brampton Beast at 3 p.m. Teachers get a free ticket at the box office with the purchase of at least one additional ticket for Friday night's game, while supplies last. A portion of Friday night's ticket sales will go to the Stoneman Douglas Victims Fund to support families of the tragic school shooting that happened last week in Parkland, Florida. In between the two home games, the Icemen travel to Fort Myers to take on the Florida Everblades. The Icemen are in last place in the ECHL's South Division, however a win streak could put them in range of the fourth place Orlando Solar Bears. The top four teams in each division make the playoffs. Icemen tickets start at $10 and are available here. READ MORE: Back to the Minors: What's a Puckhead? The Armada's next preseason match is against Flagler College on campus in St. Augustine on Monday at 7 p.m. 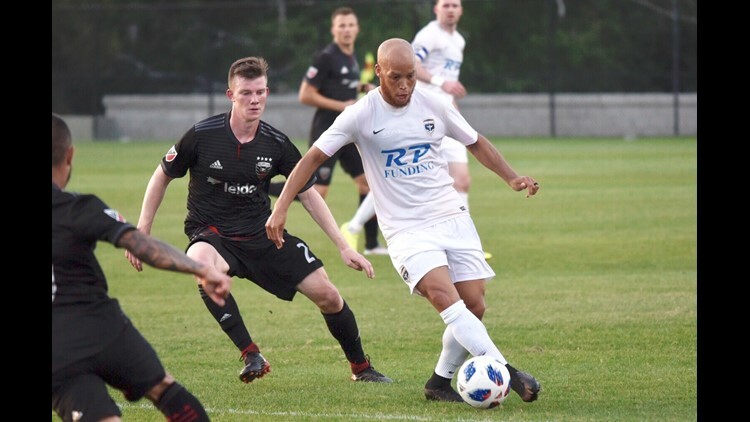 They kick off their first season as part of the National Premiere Soccer League's Sunshine Conference on April 29 with a match against the Miami FC 2 at Hodges Stadium. Armada season tickets start at $60 and can be purchased here. - The Jacksonville Giants are in Fayettville, NC this weekend for a pair of games against the Flight. They close out the regular season with a home game next Saturday March 3 against the South Florida Gold at Veterans Memorial Arena. The Giants are 18-1 and will be the feature of next week's Back to the Minors Column when we'll be checking out practice and hanging out with the team who will be looking to defend their ABA title in March. Ticket info for the March 3 game is available here. - Reminder that the Jacksonville Sharks are holding tryouts for the upcoming arena football season on March 10. For more information about the tryout, click here. - Headed to the Baseball Grounds for a Shrimp game this season? You'll notice that "fan safety" netting is being extended to the ends of both dugouts. While that means you'll be less likely to snag a foul ball, it also reduces the risk of injury to fans and stadium workers alike. "Fan safety is our top priority," said Jumbo Shrimp General Manager Harold Craw. "The netting extension will make the Baseball Grounds safer, without taking away from the fun-filled environment. We thank Mayor Curry, the City of Jacksonville and SMG Jacksonville for their commitment to fan safety." The nets will be put up in early March ahead of their Shrimp's April 11 home opener. Jumbo Shrimp tickets can be purchased here.